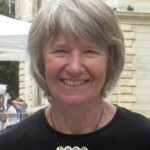 The history of Veritas goes back to the summer of 1995 when Dorothy Tarrant, a British professor of social work, came to live in Sighisoara and to establish the Romanian Studies Program. The RSP was a program of Eastern Nazarene College near Boston, Massachusetts, that provided American college and university students with the opportunity to spend a semester in Romania, to live with a Romanian family, to study the language and culture, and to serve disadvantaged people in the community. Tarrant’s strategy was to find local Romanian Christians willing to work alongside her students, caring for abandoned infants in the town hospital, providing a safe place for learning and play for children found begging on the streets, and visiting isolated elderly. Groups of students came and went. Their Romanian translators, high school graduates who knew English well, provided continuity. The translators learned the satisfaction that comes from helping others and began to assume more and more responsibility in the programs that were developing and growing for children, teenagers and seniors. Some of them accepted the opportunity to go to university, their fees paid by foreign donors, and earned degrees in social work, psychology, education, accounting, law. Tarrant began to sense the need of a non-profit organization in order to be able to pay salaries and taxes, to buy property, to write grants and solicit funds. In 2001 Veritas was legally registered as a Romanian NGO, with Tarrant as the executive director and president of a local board of directors. The name Veritas, a Latin word meaning truth, was chosen to identify the NGO as a group of people seeking to live as disciples of Jesus who is the way, the truth and the life. In 2001 Veritas had two buildings, the Family Center where social programs took place for children and families, hot meals were served and material aid distributed, and the House on the Rock, a five-story house dating from the 17th century, which hosted educational programs and activities promoting intercultural exchange. This historic building, situated on the main square of the Citadel, Sighisoara’s medieval center, gave a lot of visibility to Veritas and allowed it to begin organizing and hosting cultural and spiritual events for the benefit of the community. In 2001 Eastern Nazarene College ended its sponsorship of the program it had started in Sighisoara. Tarrant chose to stay in Sighisoara and keep the Romanian Studies Program and Veritas going independent of American institutional support. Two grants from USAID (United States Agency for International Development) confirmed that decision by providing funding to develop educational services at House on the Rock and then for the start-up of a program to combat domestic violence. Meanwhile the RSP has continued to provide support for Veritas, as dedicated students bring skills, energy, fresh ideas and financial support into the organization. Since its beginning the RSP has brought over 500 students and volunteers to Sighisoara. As Romania was preparing to join the European Union in 2007, national standards were developed for social services. Veritas gained accreditation from Mures county authorities in 2006 for its programs for children and families, for the elderly, for persons with special needs and for victims of domestic violence. Accreditation has been renewed in 2009 and 2012. Accredited services must have staff with appropriate credentials, and Veritas has succeeded in assembling a dedicated team with professional qualifications, half of whom have worked for Veritas for more than ten years. In 2010 Petronia Popa became the first Romanian Executive Director of Veritas, having served first as Director of the Domestic Violence program and then as Coordinator of Social Services for Veritas. 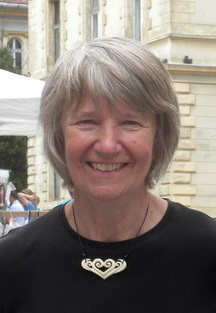 Petra grew up in Sighisoara and has a strong network of connections in the community. She has made Veritas more widely known locally, recruiting a variety of volunteers and increasing local financial support. Shortly after Petra assumed leadership, Veritas acquired a new complex of buildings to house its social programs. The new Family Center, being much more spacious than the previous one, has allowed each program to have its own space and to expand and develop activities to better meet client needs. Thanks to her perseverance in cultivating relationships with the local authorities, Petra succeeded in 2016 in securing the first public funds to support Veritas children’s programs. Petra is supported by key staff persons who make up the Leadership Team. Dorothy Tarrant continues to serve as president of the Board of Directors and as mentor for Petra. An American Advisory Board helps with fundraising and brings teams of volunteers to serve in Veritas programs and to help with construction projects. Veritas’ mission continues to be that of providing holistic care to disadvantaged people, addressing their physical, educational, social, emotional, and spiritual needs. At the Family Center we seek to provide continuity from preschool through Kids’ Club to the Adolescent Program, equipping children and young people from marginalized families with the skills to fulfill their God-given potential and break the cycle of poverty. Adults with special needs, and four elderly clubs enjoy a sense of community and belonging, a range of stimulating activities, and regular reminders of God’s care for them. Victims of domestic violence are supported in finding safety and healing, and in making the changes needed for a more hopeful future. Veritas educational programs at the House on the Rock give opportunities to young people and adults to grow and develop and to give back through community service projects or as Veritas volunteers. Veritas staff met in September 2015 to consider what goals and dreams they have for Veritas as we enter the third decade of service to the Sighisoara community. Desired program expansions include a residential rehabilitation program for those who have experienced domestic violence, a day center with sheltered workshops for adults with special needs, physiotherapy and occupational therapy for the disabled and the elderly, and skills development and job placement support for youth and the unemployed. Providing more opportunities for volunteerism and community service and mobilizing young people to become the leaders of tomorrow are part of the vision of creating a more just and caring society.